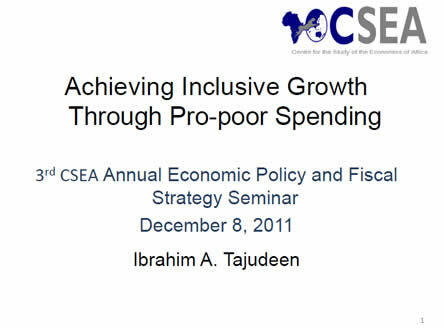 The paper examines if the nature of the economic growth in Nigeria is inclusive (Pro-poor) or exclusive (pro-rich) and recommends ways to achieve inclusive growth with emphasis on Pro-poor spending. 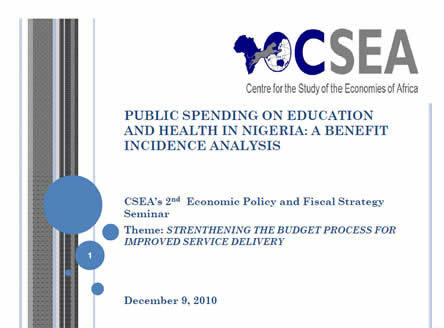 The paper conducts a Benefit Incidence Analysis to determine if public expenditure in education and health sector in Nigeria is pro-poor or pro-rich. 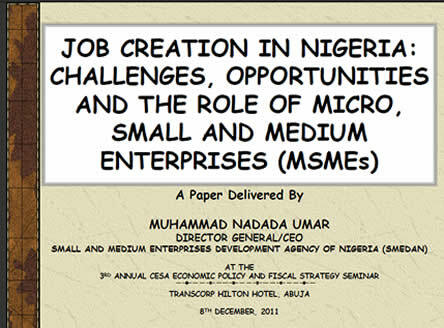 This paper identifies the challenges of job creation in Nigeria and examines governments approach using the Micro, Small and Medium Enterprises to support Economic reforms. 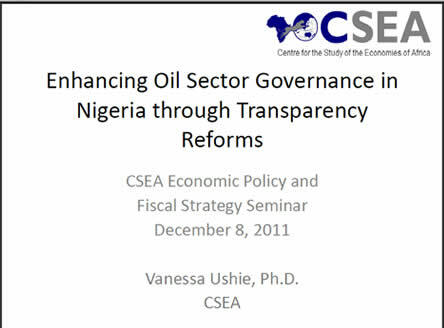 The paper highlights the importance of oil sector transparency in order to support governments push towards structural reforms and inclusive growth. 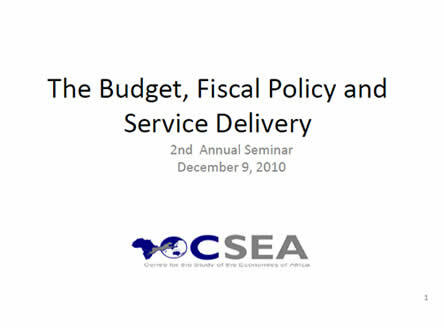 The paper discusses the Macroeconomic impact of budget and its process and how to achieve an efficient and timely budget cycle. 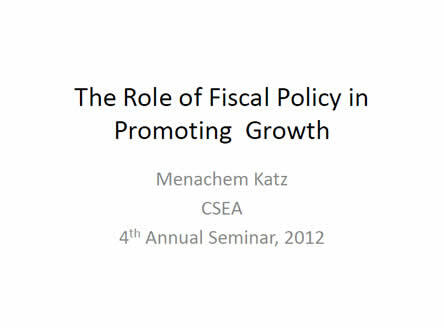 The paper examines fiscal policy as it influences growth through taxes and service delivery. 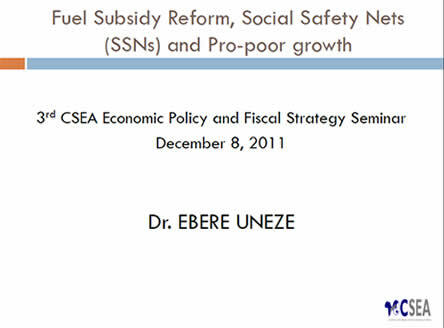 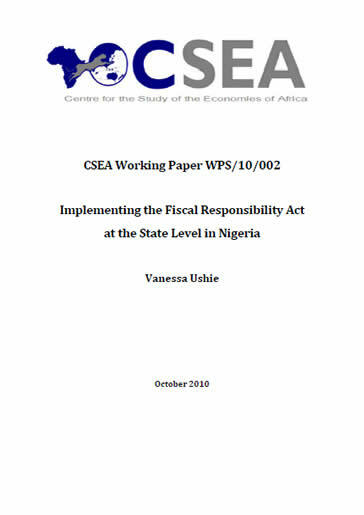 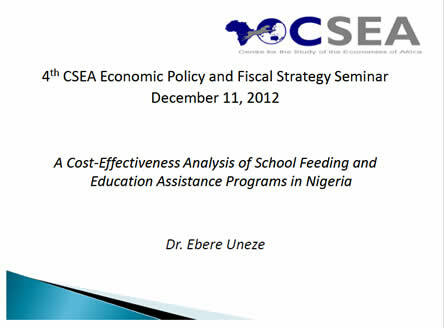 It also reviews Nigerias experience with fiscal policy as well as challenges to its current system. 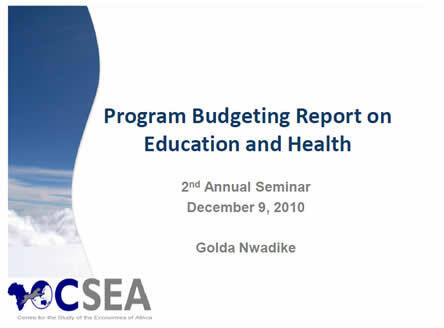 This report examines Federal Governments budget, appropriation and implementation in the three main social sectors of the Nigerian economy - Education, Health and Water.